Riding on the success of the car trip to Luxembourg last year, it didn't take us long after arriving back home to start planning a new trip for the coming spring. But where to? My mother had been to Austria in the 1960's and suggested it was time to go back..and for the rest of us to do our virgin visit. Again it was time to get a hold of some literature from Amazon in UK again - these being 'DK Eyewitness Travel - Austria', and 'DK Eyewitness Travel - Vienna'. Another contact to various tourist offices led to even more heavy snail mails, and after a while of planning and several late evenings, a trip was ready. We decided to do a roundtrip that would make sense, i.e. not contain too many long detours, as the distance we planned to cover would be almost 3000 km. Using the overnight ferry from Oslo to Kiel, our journey would go straight south on the A7 autobahn to our first overnight stop in Rothenburg ob der Tauber, then down to the Füssen area next to the Austrian border. From here, we would plow through Tyrol over the Brenner pass into Italy, continue down the valley on the other side, and drive via the northern part of the Dolomites mountain area back to Austria, over the Grossglockner Hochalpenstrasse into Berchtesgadener Land in Germany, back via Salzburg to Vienna, then northwestwards to Regensburg, Munich and finally onto the A7 to Kiel. The start of the trip was on May 9th (Oslo). The distance from Kiel to Rothenburg ob der Tauber is around 650 km, and is easily done in a day, as long as no serious traffic jams occur. Rothenburg itself is quite a unique small town. 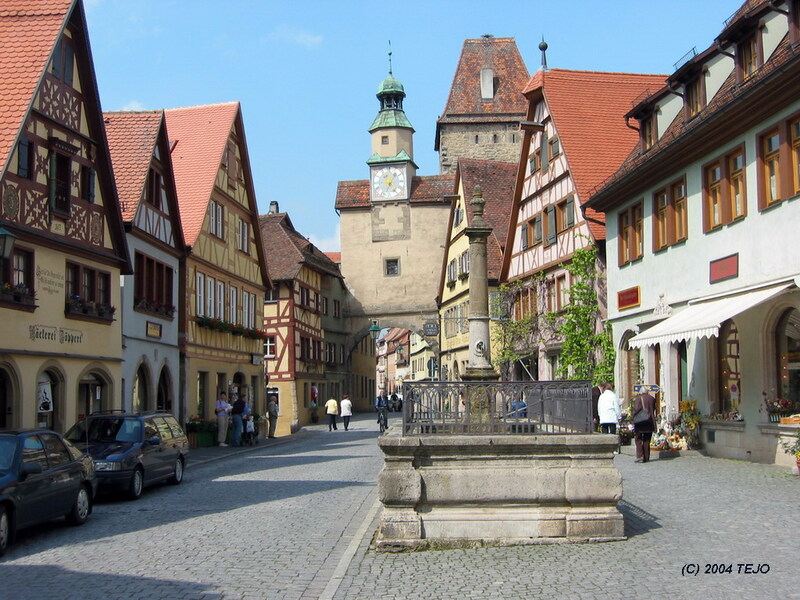 Situated on top of a small hill overlooking the Tauber valley, it has been very well preserved as a completely fortified town with a well restored wall surrounding the entire old part, and has been made mostly car free. Most of the old town is one big worth-seeing attraction, and a round trip, part on the wall and part on the cobblestone streets is recommended. Things to see include the town hall (Rathaus), the oldest part being from 1250. There are several towers named after colours as well, one of these being climbable. The wall has been entirely restored after a U.S. bombing raid on a railway station with little military value during World War II. Names of all contributors to	the restoration work can be seen along the walkway, which is at times quite narrow. There is an interesting and over-the-top year-round decorated Christmas shop here where photography is forbidden, due to them being afraid of getting too many visitors (or actually the boss had just said no in the first place, when I asked about it). Bavarians may indeed be experienced as different from other Germans at times.. The castle area on the west side of the town is also worth including on your tour. 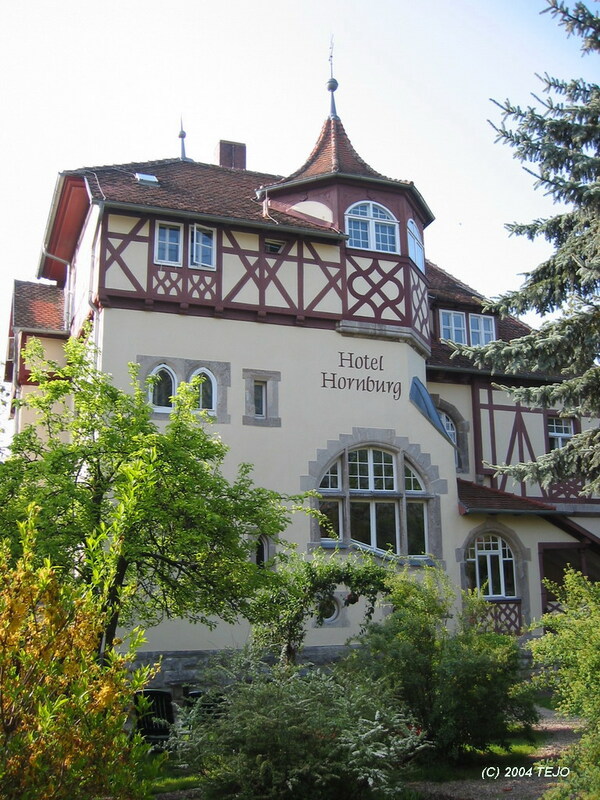 We stayed in a small hotel just outside one of the gates to the old town - Hotel Hornburg - a very cosy place in a small building that looks like a cross between a villa and a fairy-tale castle. The guy who runs the place deserves special mention as well, as he is not only a well of knowledge and humour, but also speaks like a native Englishman with just a slight hint of a German accent. But the town is bound to have a lot of visitors from outside Germany, as it is (and deserves to be) well known. We chose to dine at a Chinese restaurant in the Hotel Lotus, located just inside the town wall - a very pleasant experience. 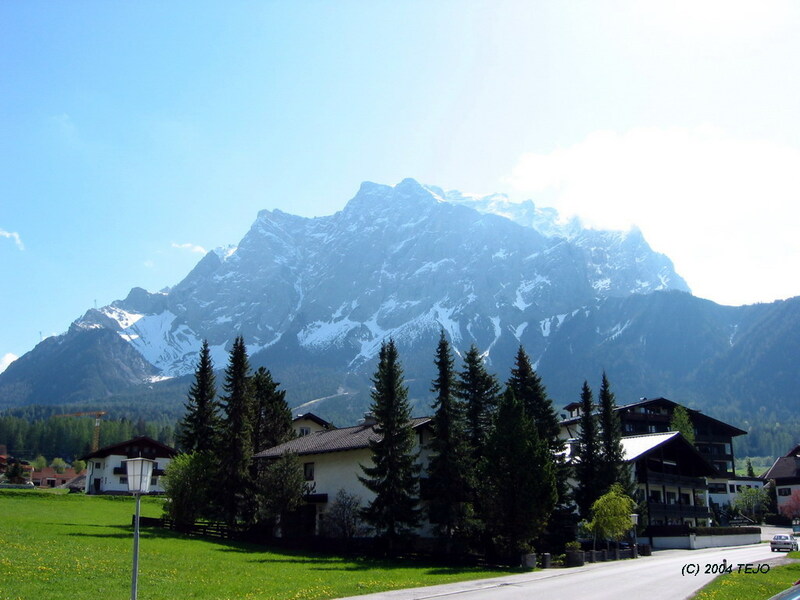 The drive from Rothenburg to the Füssen area is only 230 km and is done in a couple of hours. It may be a good idea to plan where to stay beforehand, as there are loads of possibilities. There is the town of Füssen itself (the highest in Bavaria at around 800 metres above sea level), with around 16.000 inhabitants, a lot of traffic, and of course its own castle. 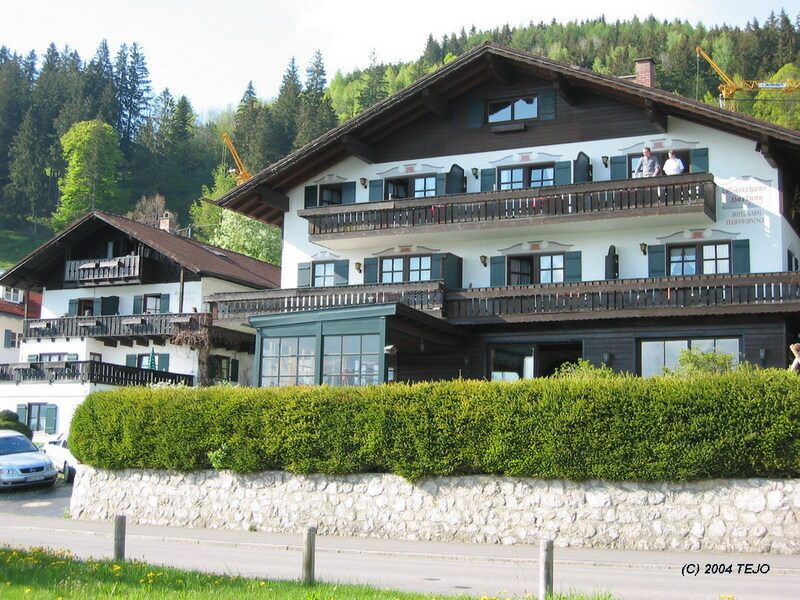 Then there are the smaller villages dotted around, such as Schwangau, Hohenschwangau, Hopfen am See, Weissensee and Bad Faulenbach, all within 5 km of the main town. 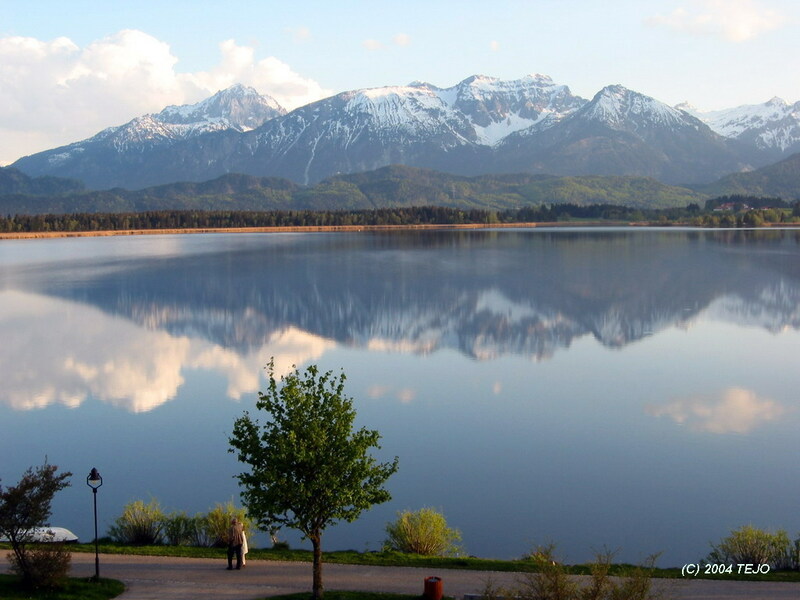 We chose to stay at the Hotel Garni Gästehaüser Hartung am See, a truly excellent choice with a marvellous view over the Hopfensee and the Allgaüer alps. We rented two rooms, one of them being an apartment, but with the option of choosing to use it as a double room. And the price including breakfast for this room for two persons: € 58! Who's complaining? This would be our base for the coming three nights. The next day, we woke up to a clear blue sky and decided to go for a small round trip. We planned to take the Tiroler Zugspitzbahn up to the top with the same name (Zugspitze), which is Germany's highest peak at 2963 metres (and majestically sized, the peak itself lying just barely inside Germany). However, they were closed for maintenance for 3 days or so - exactly the three days we were there. 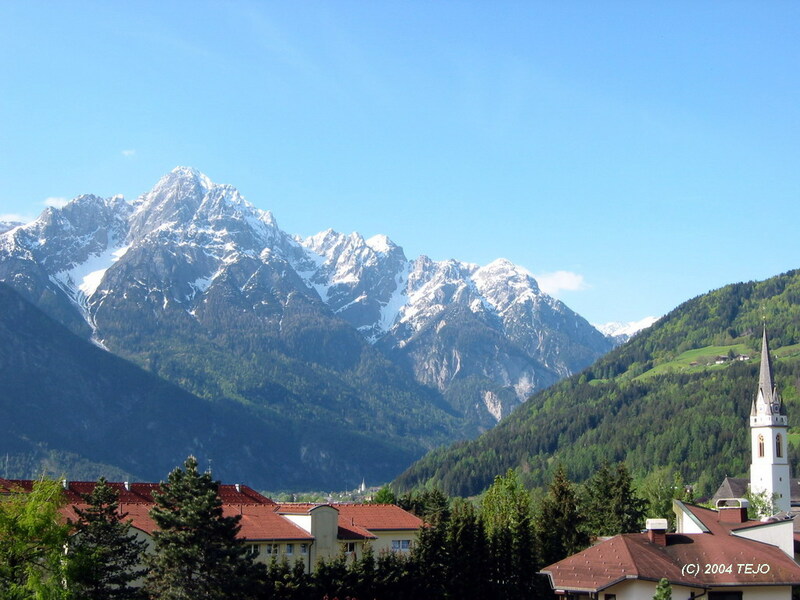 Luckily, there was an alternative: we drove around the mountain, past Garmisch-Partenkirchen and to the starting point of the Bayerische Zugspitzbahn, where we chose a round-trip option. This would take us on a cogwheel train from the bottom station at Eibsee (1000 m) to 2600 m, then a quick cable car	ride to the top itself. By the time we had reached the top, clouds were closing in and the weather was less nice. The trip down was done in one leg with a smaller cable car that descended around 2000 metres almost vertically (at least it felt like it) in just 10 minutes. On the way back to Hopfen am See, more treats awaited: the Benidictine Ettal Abbey which was founded in 1330 is an impressive sight as you drive by, and as only 40 km or so remained, we stopped for a visit to Schloss Linderhof. Another sight not to be missed when in this vicinity, the castle, including its gardens, grotto and various small buildings dotted around, was built by the 'fairy-tale king', Ludwig II of Bavaria (I have decided to dedicate a separate page to him, as it is quite an extensive tale). 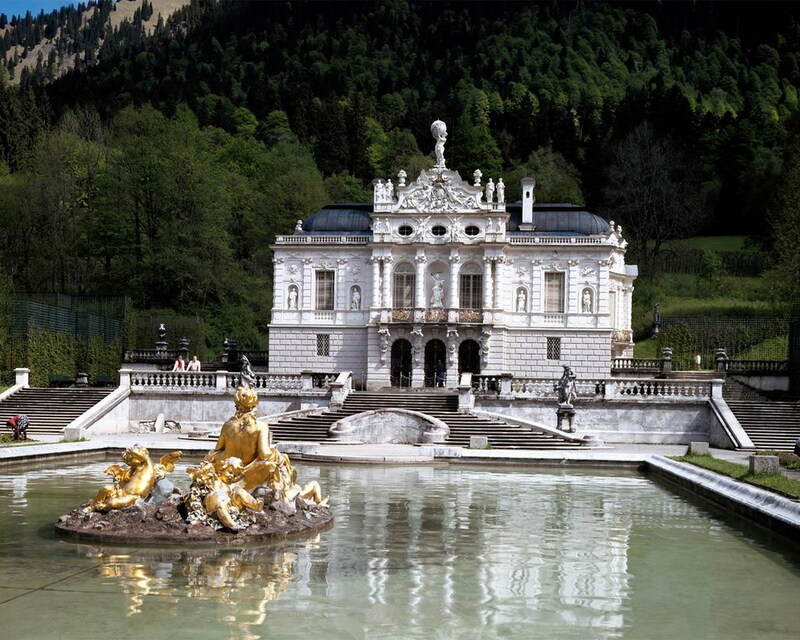 This was the only of the three palaces built by King Ludwig that was finished (in 1878). Critics may claim that it resembles a giant wedding cake, but it is rather small and cute for being a castle. Unfortunately, the entire front was covered up due to restoration, but the castle was still open for tours. In 25 minutes, you will be guided through most of the castle and shown the various rooms, which are highly decorated, yet the castle has a definite private feel to it. Of the most memorable rooms are the king's bedchamber, which houses a massive bed, giving the term 'king-size' a whole new perspective. The dining room is special in the way that the table was installed on a lift which makes up part of the floor, so that the servants could make the table downstairs, then send it up to the king so that he could dine in private. The garden presents a nice stroll in a beautiful landscape, and inspiration is gathered from various styles such as Baroque, Italian Renaissance, as well as the English Garden. 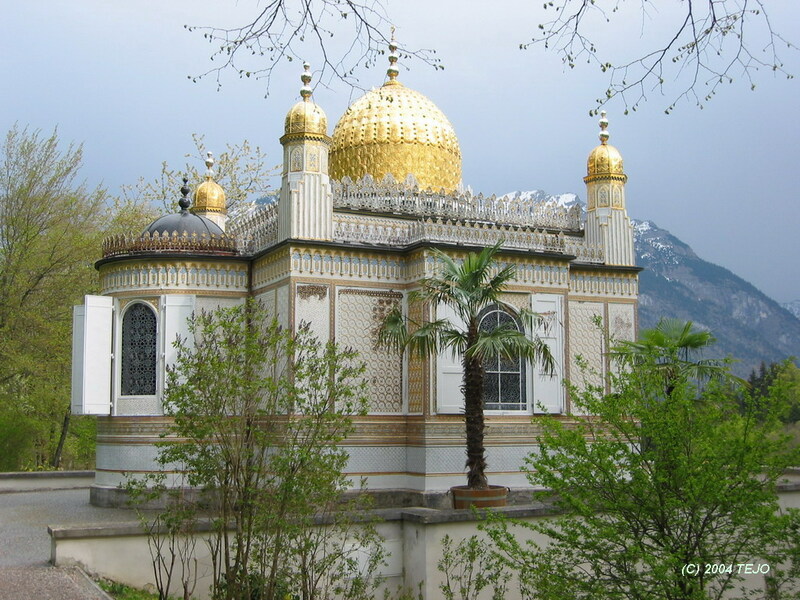 Some of the most interesting structures found are the Moorish Kiosk and the Moroccan House, the latter which was actually built in Morocco for an exhibition in Vienna in 1873, then moved here and refurnished. The Venus Grotto deserves special mention, as it is the biggest artificial cave ever made. It was built to illustrate part of Wagner's opera 'Tannhäuser'. Here, the king was rowed over the small lake and at the same time enjoyed his own 'blue grotto of Capri', which was made possible with the use of several dynamos that would change the colours of the grotto's illumination. The second day started and continued with fog, rain and a temperature of 6°C. For a visit to a castle's inside it was more or less ideal, but most of the scenic setting was lost. We decided to do a double castle visit, as the two just a few km south of Füssen are right next to each other. Do prepare to set aside most of the day even if you live close by - each tour takes around half an hour, but english tours are fewer, and you also have to add some time for travel between them. It is recommended to do Hohenschwangau first, as this is right next to the village and car park area, as well as the ticket counter - there is no ticket counter at Neuschwanstein, you have to buy it in the village. The area is otherwise dominated by hotels, restaurants and souvenir shops. Schloss Hohenschwangau was built in 1828 by King Maximilian II (King Ludwig's father) on the site of a much older fortress. 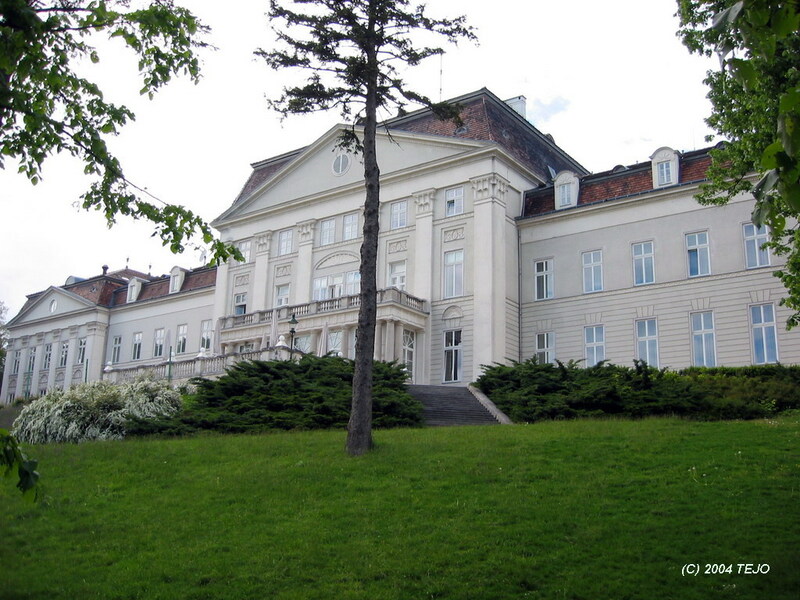 It was the official summer and hunting residence of Maximilian and his wife Marie of Prussia, where their two sons, Ludwig and Otto also spent a lot of their adolescent years. 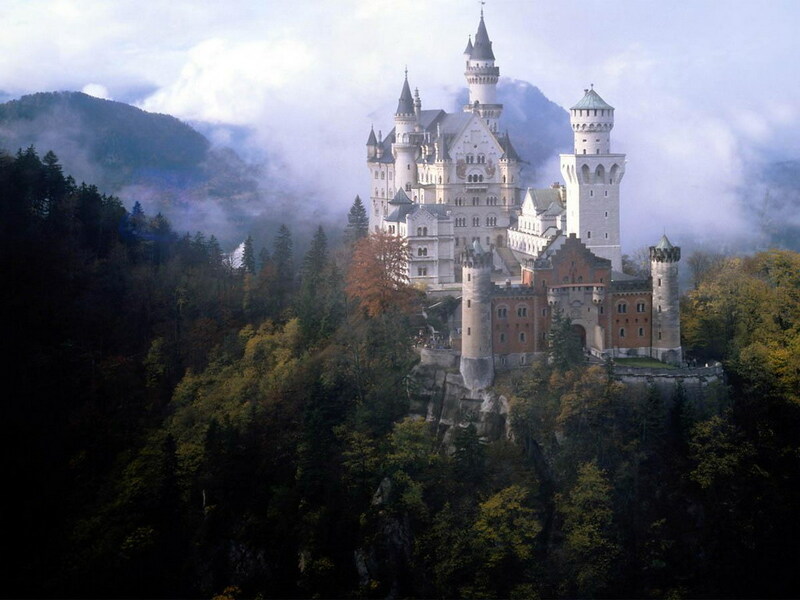 As King Maximilian died in 1864 and Ludwig became his successor at the age of 18, and while his mother lived on her own floor of the castle, Ludwig lived here as he started construction of his own castle, namely the fairy-tale castle Neuschwanstein, in 1869. 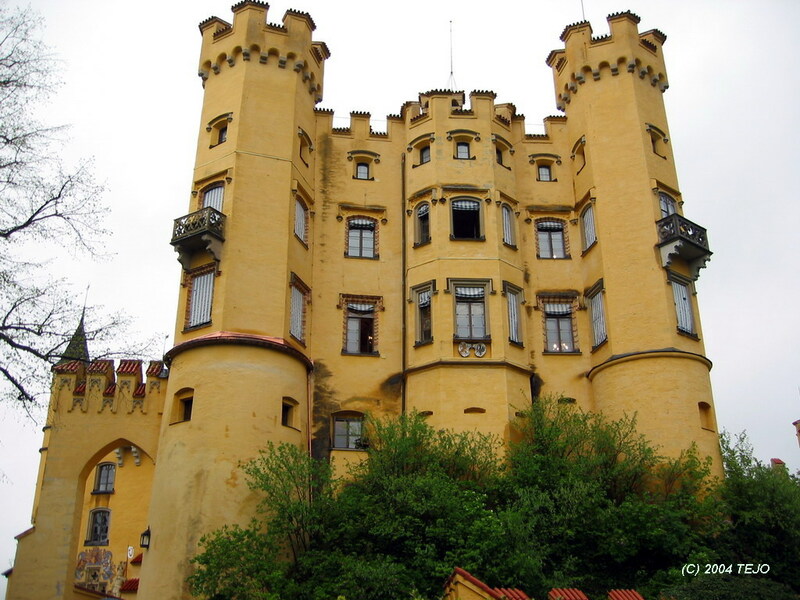 Schloss Hohenschwangau was opened as a museum in 1913, after the deaths of Marie (1889) and Regent Luitpold (1912). It is visited by more than 300.000 people each year, and is open all year, apart from Christmas. Mirror, mirror, on the wall...which is the most fairy-tale castle of them all? In 1996, I played through the Sierra computer adventure named 'Gabriel Knight: The Beast Within'. 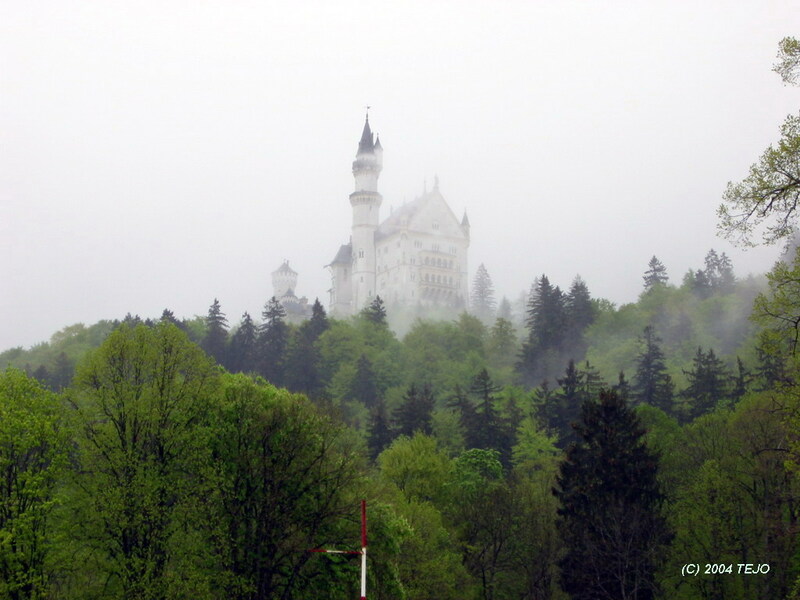 Ever since then, I had been fascinated by the story of King Ludwig and his castle heritage, and a desire to visit Neuschwanstein in particular had been there since then. 8 years later, my chance had arrived! It would turn out to be every bit of the experience I had expected it to be, as the location of the castle is arguably without equal, situated on a rocky outcrop next to the wild Pöllat gorge and modelled after the Wartburg castle. Possibly the most famous building in Germany, the castle attracts up to 2 million visitors every year, peaking during summer seasons at 6000 visitors in a day. It is reached either by walking up the steep road, taking a short bus ride or a horse carriage. 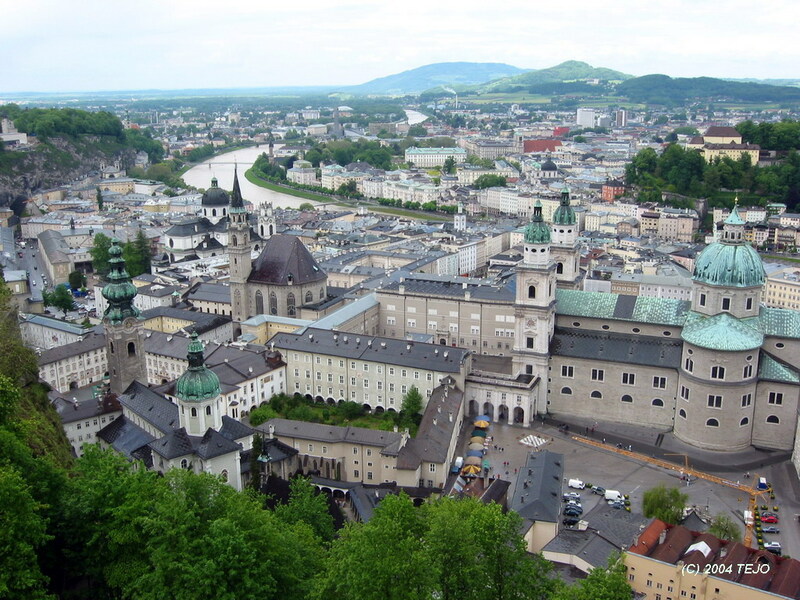 Construction was begun in 1869 and is commonly claimed to have finished abruptly at King Ludwig's death in 1886, while other sources claim it continued until 1892. In any case, the interior of the castle smells of unfinished business, as there are doors leading into open air, missing staircases, as well as a spot in the courtyard for the construction of a 90-metre tower. The tour will cover the 14 rooms that were finished, including the bedroom with another majestic bed which took 14 woodcarvers 4 1/2 years to make (and the king never even slept in it!) This 'house for the spoiled' also had running water, coming from (of course) swan shaped taps and modern facilities for cooking. Most of the rooms clearly show the king's affection of Wagner's operas, and indeed, he was the composer's patron at the time. 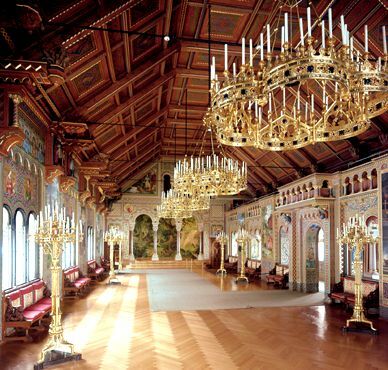 The Sängersaal (Singer's Hall) atop the castle is an impressive one and the king held private concerts here. It is advisable to head over to the Marienbrücke, some 80 metres above the Pöllat gorge, and take in the full view of the castle from the side. Ludwig was a devoted nature lover, and did not want to make his castle spoil the surroundings - as is clearly seen from this angle. The castle seems to naturally grow up from the rock it is perched on, and the lakes in the distance make for a perfect background. The path leading across the bridge continues all the way up to the top of the mountain behind - Tegelberg (1720 m) in an estimated 3 1/2 hours. There is also a cable car leading up to this mountain, opening up the possibility for a round trip. But this might be explained by the fact that at Linderhof, there is ample time during the tour for a bit of photography, while at Neuschwanstein, a new tour starts every 5 minutes with the precision of German optics - a well-oiled machinery indeed but it works without a flaw, so there would be no time for photo stops inside. Of course, you can buy postcards or even request for high-quality digital photos from the Bayerische Ver...phew! itself (the latter at somewhat steep prices). My brother was off fixing the car this day, due to a malfunction in the exhaust system, or as they said in German "auspuff kaputt! ", but he also experienced a bit of German helpfulness as someone in the shop drove him to the nearest ATM to withdraw some cash to pay for the repair. In some places in Bavaria, few international credit cards are accepted - another slight quirk. The next day is officially a non-castle day! Indeed, the next leg of our journey saw us across the Austrian border via Reutte in Tirol, then down past Innsbruck and upwards again towards the Brenner pass. Between Innsbruck and Brenner, you will pass The Bergisel ski jump, which is used in the '4 hills tournament' each year, as well as the impressive Europabrücke - at least it would look more impressive from beneath, as it is a 192 metre high bridge crossing a deep valley. When driving over it, you will barely notice. The Brenner pass is the most used crossing between Austria and Italy, as can be seen by the traffic, which increases even more as you switch to the Italian Autostrada (which in plural form is Autostrade, definitely on your top 10 list of 'things you always wanted to know but were afraid to ask'). The weather on the north side of the Alps was still a bit cold, while on the south side, summer had arrived. We stopped for lunch further down the valley, and it was pleasantly warm. Slightly less pleasant was the Autogrill (the Italian equivalent of the German or Austrian Raststätte), with a somewhat confusing system where you had to find out what you wanted first, go to another counter and say what you wanted and pay for it, get your receipt and finally get the item back at the first counter. Also, a television which no-one was watching was blaring out Italian syllables at high speed and equally matching volume. Indeed, we had crossed the border between the Germanic and the Latin world - time to adapt. We drove to Chiusa (around 20 km from the Brenner pass), where we left the Autostrada and headed for Val Gardena at first. 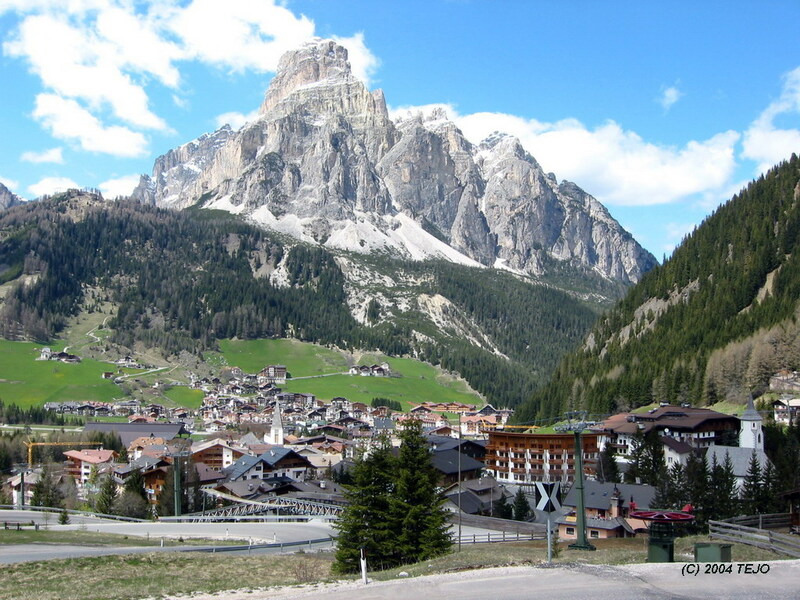 This is one of many well known ski resorts in the northern part of the country, and after having decided which mountain pass to choose, we headed for Passo Gardena, which took us to an altitude of 2137 metres. Here, winter was still at large, and the few buildings looked rather deserted. Downwards to the next place, Alta Badia, another ski resort, up a pass and down again, reaching perhaps the most known resort in the area - Cortina d'Ampezzo (altitude 1450 metres). Most of this town was also closed, but still, traffic was heavy and the centre area seemed unhealthy, leaving us with a poor (and probably unlucky) impression of the resort. From here, Venice was only 140 km away, but our road took us northward across yet another pass and finally down to a beautiful valley in which Toblach/Dobbiaco was situated. Those of you who know the world of biathlon may know that the family Santer runs a hotel here. A few km to the east across the Austrian border, then another few km saw us to our destination for the day - Lienz (altitude 673 metres). Most of the drive through Italy was through the northern part of the Dolomites - a large and very impressive and peculiar looking mountain range. If you have seen the movie Cliffhanger, the most dramatic scenery there is from the Dolomites - not North America as it is supposed to be in the movie. The next day started with a short visit to the Roman excavation site known as 'Aguntum', a pleasant stroll in beautiful surroundings. We even got a free entrance, as they weren't officially open yet. The next leg of the journey was to be one of Austria's biggest tourist attractions - the Grossglockner Hochalpenstrasse (high alpine road). It winds its way up the mountain range known as the Hohe Tauern, reaching the provincial border between Kärnten (Carinthia) and Salzburger Land at its highest point, the Hochtor tunnel, 2503 metres above sea level. Indeed, the car was a bit dissatisfied at this altitude, as it was also deep winter here (the road opens up sometime in May and closes in October). 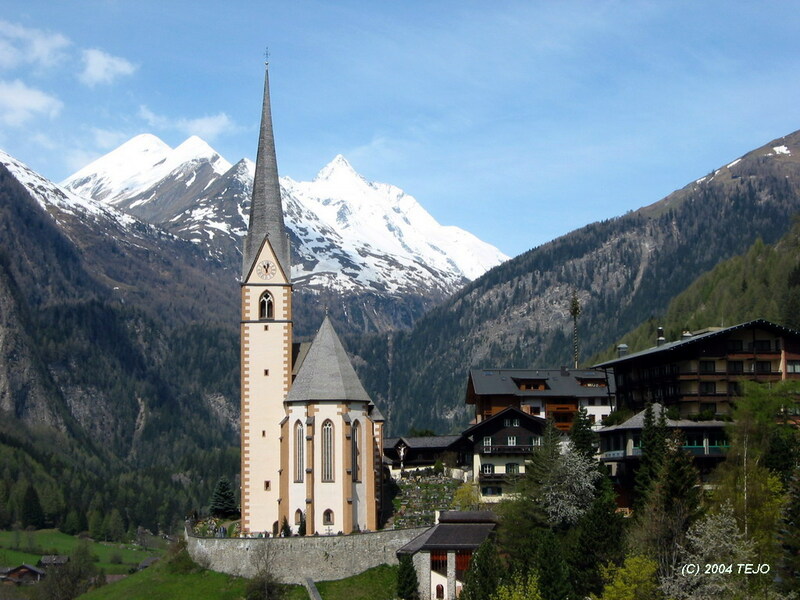 A masterpiece of engineering work, it will also take you (via a short detour) to the biggest attraction - the Kaiser Franz Josefshöhe, where you can view Austria's highest peak - Grossglockner, 3798 metres - in all its glory towering above the Pasterze glacier. Don't forget to look down to see a family or two of marmots - they have obviously made their home here in the warmer side of the valley, and don't mind a bit of food or two or three or...from visitors, although they are trying to cut down on the beer and smokes :) There is ample opportunity for feeding yourself here as well, as the place houses at least two restaurants - with acceptable food. If you want to go as high as possible with your car, take the two kilometre detour to Edelweisspitze (2571 metres) with a 360-degree view of the surroundings. We chose to skip this, as we met a lot of clouds on the Salzburger Land side of the mountain range. The final leg of the day went past Zell am See to Schönau in Berchtesgadener Land, and we were back in Germany again. After a long day and when the clock showed 17, we found the myriad of small roads and signposts to various hotels somewhat confusing, and decided not to spend too much time finding our pre- chosen possibilities. Rather, we went for one of them, but it was full, and they recommended the place just across the street - the Hotel Pension Unterstein. As already mentioned, our plan to visit the real Eagle's Nest (Kehlsteinhaus) was spoiled by the fact that the road was closed for maintenance. We cut down our stay from 3 to 2 nights, yet had to pay half the cost of the final day that we didn't stay there. 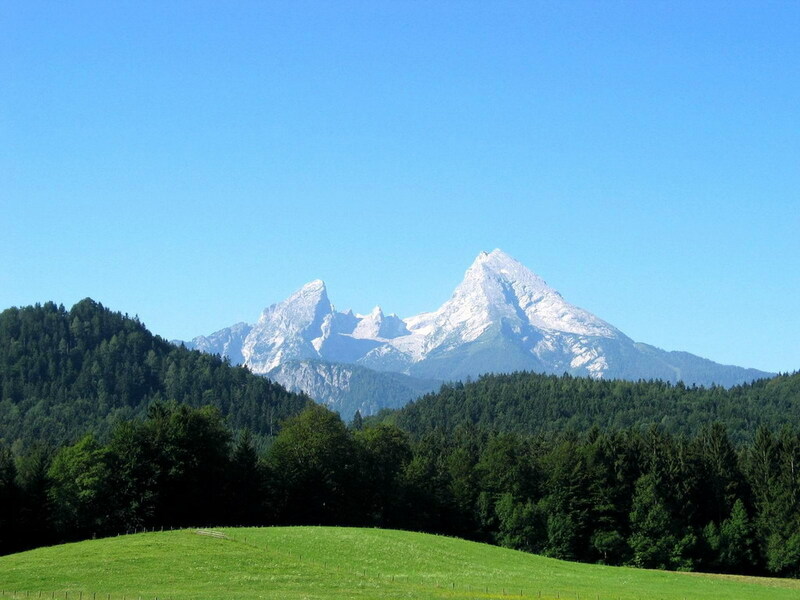 Nevertheless, Berchtesgaden is another highly scenic part of southern Germany, and is home to its second highest peak - Watzmann (2713 m). Schönau is a cosy, small and far stretched village, and we took a stroll to the banks of the Königssee, then marvelled at the silently gliding boats they use there. These are electrical and have been so since the start of the service in 1909. A small but attractive monastery (St. Bartholomä) sits halfway across the lake. No visit to Mozart's town of birth is complete without a visit to his house of birth, which is clearly marked with big letters. It turned out we visited the rear side of the building - I found this out on a later occasion. Back in Berchtesgaden, our dinner place was clear - another chinese restaurant. These are always very pleasant and quiet, and this one was no exception. However, we were surprised that they eventually asked us if we were from Norway..we admitted to our crime, and asked how they knew. They said they recognised a bit of our language, and also that they had a lot of Scandinavians visiting. This would be the Kinder egg of our trip: it was both surprising, impressive and a wee bit scary! These people were from China and spoke Chinese (obviously), German, English, and were able to recognise the difference between Scandinavian languages - very impressive indeed! 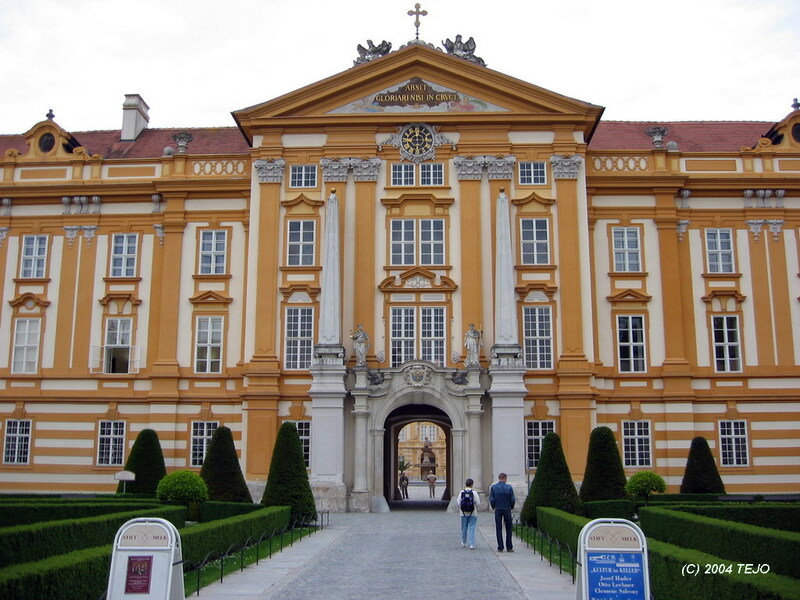 Roughly a 300 km drive away, Vienna awaited..but along the way, around 80 km west of the capital itself, we made a stop at the fabulous Benidictine monastery of Stift Melk. Perched atop a small hill and overlooking the village and the Danube river, the monastery is a gigantic building. It has been in continuous use since its founding in 1089 (most parts being off-limits to visitors). The present building dates from the early 1700s. The most impressive 'rooms' would have to be the library with countless medieval manuscripts and a wonderful ceiling fresco, as well as the relatively newly restored abbey church, which is nothing short of	breathtaking decoration wise. We decided to park the car while staying in the city, and this turned out to be no problem at all, as the transportation system in Vienna is nothing short of excellent. From our elevated location, a bus service ran every 10-15 minutes or so, and as this route was a round trip, it didn't really matter in which direction we took it. It would take us to the subway station named Ottakring, which was the ending point for one of the city's 5 subways. From here, we could go straight to the city centre, or cross with another line depending on where we wanted to go. The time between trains is 2-5 minutes. A map is accessible wherever you travel, and a voice will announce on the speaker the connecting possibilities (in German, yet with a heavy Viennese dialect: 'umsteigung'). The 72-hour pass gives you unlimited access to most kinds of transportation, i.e. buses, subway, trams (as well as discounts and special offers that are less interesting), not a bad deal at	€ 16.90 (2004 - the price in 2007 seems to be € 18.50). 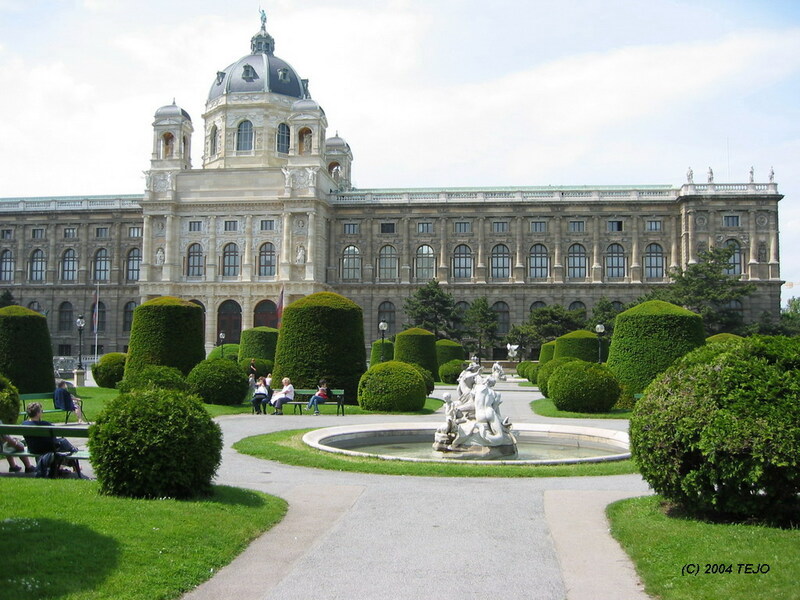 After having plowed through DK Eyewitness Travel - Vienna, as well as a map with recommended sights, we decided to slightly modify the 'one walk - eleven sights' itinerary to include a northbound detour. 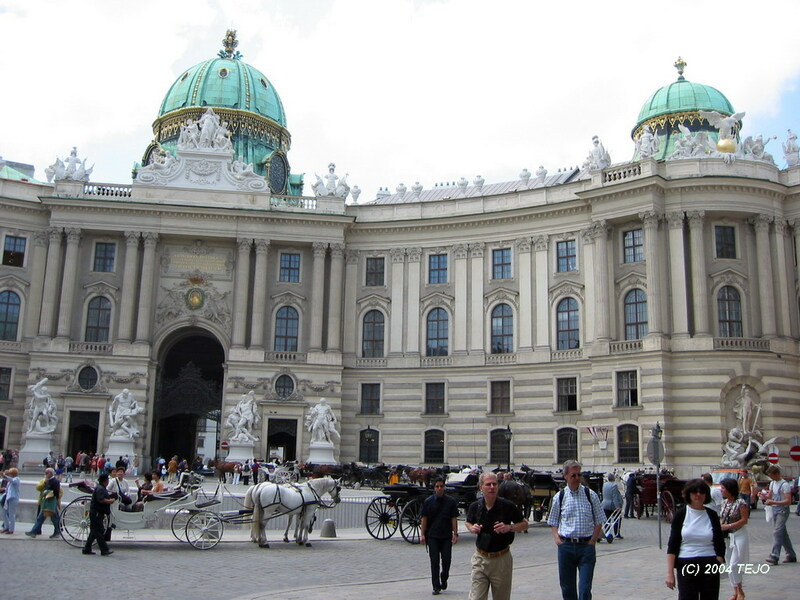 We started off by taking the subway to Stephansplatz, which is considered the absolute centre of the city. As soon as we arrived above ground, we were addressed by Mozart-clad students (presumably), trying to sell us concert tickets. This is after all the capital of classical music, but don't expect these tickets to be for concerts with the Wiener Philharmoniker, or get you access into	either Musikverein, Wiener Staatsoper or Volksoper. And don't expect to be able to get tickets to the New Year's concert either (unless on the black market), as these are sold out years beforehand. The next thing you will notice is the Stephansdom itself, a very impressive structure. 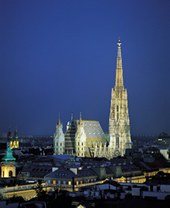 With its main tower, nicknamed 'Steffl' and one of the main symbols of Vienna, rising 137 metres above the Stephansplatz, it will be a challenge to fit into a single picture. The mosaic tiled roof is one of the most noteworthy things about it - the inside is somewhat cold and naked (as is actually the intention). The roof is 110 metres long and if you have a day or two extra to spare, you may count the tiles - anyway there should be around 230.000 of them. On one side, the double headed eagle is represented, the symbol of the Habsburg empire, and on the other side is the coat of arms of Vienna and the Republic of Austria. 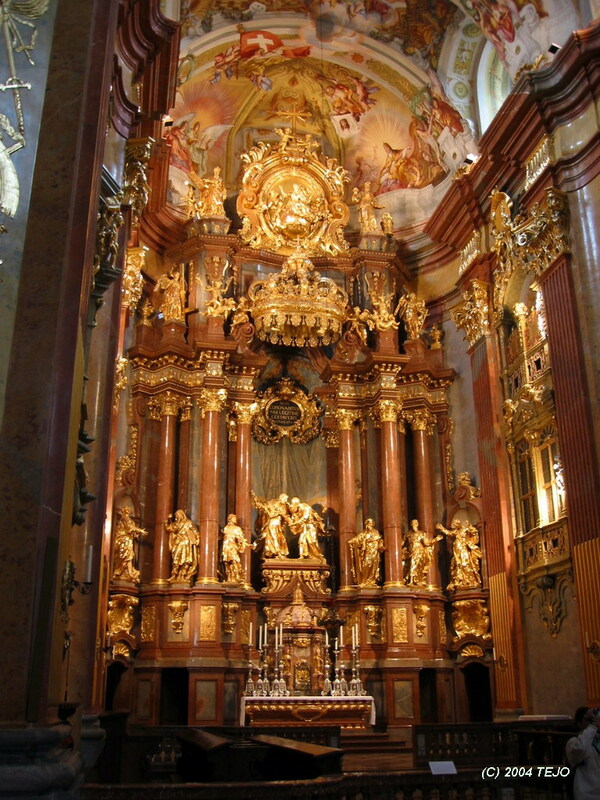 The cathedral itself houses the tombs and crypts of various historic people, as well as some catacombs. At our time of visiting, the large tower was partly covered in scaffolding due to more or less continuous restoration work, and was also covered in commercial banners. These have later been removed due to controversy, though the scaffolding is probably not as old as the cathedral itself, which was constructed in 1147. The Stephansplatz itself also housed a few pantomimers, including a very lifelike version of Charlie Chaplin. 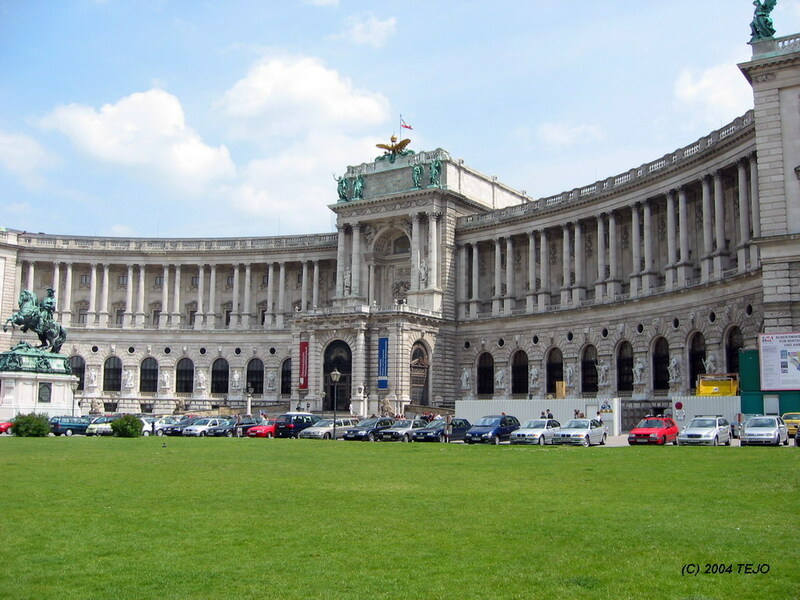 Our continued stroll took us first past an older part of the huge Hofburg complex, the original seat and winter residence of the Habsburgers, who ruled their empire for more than 600 years. It now incorporates several structures: numerous residences, chapels, museums, Imperial Library, treasury, national theatre, and the riding school (Hofreitschule or Spanish Riding School), then to a long northbound detour to the Sigmund Freud park and the impessive double spired Votivkirche, which was finished as late as 1879. 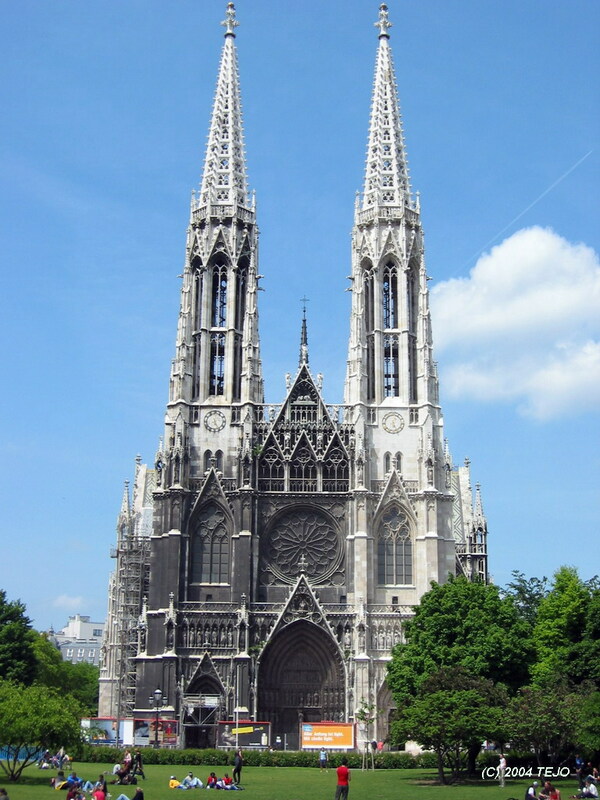 Like the Stephansdom, this church was constructed from white sandstone, and is therefore a continuous restoration project due to discolouration and eroding from pollution and acid rain. On our way back, we passed the Burgtheater, which is the largest German speaking theatre in the world (for those who like such records :), then to the impressive neo-Gothic town hall (Rathaus), which rises 96 metres above the courtyard. After a pleasant lunch in another of Vienna's numerous green parks (we decided to walk through these as much as possible on our round trip, in order to avoid traffic and instead enjoy green surroundings), our route went past the Neue Burg (another part of the Hofburg complex), where Prince Eugene of Savoy sits on a prancing horse in front (not in person, but represented by a statue). We decided that a visit inside either the Naturhistorische or Kunsthistorische museums would eat up too much of our time, thus only saw the outside of them - but they are very impressive twin buildings, sitting on each side of the Maria Theresien-platz, which is sort of a small park with very neatly trimmed bushes and a statue of the famous ruler of the empire during the 1700s. A popular tourist attraction is to go on a tour with a horse carriage, known as fiacres, and we saw several in service as well as many waiting for customers. Don't forget to pay heed to their droppings! 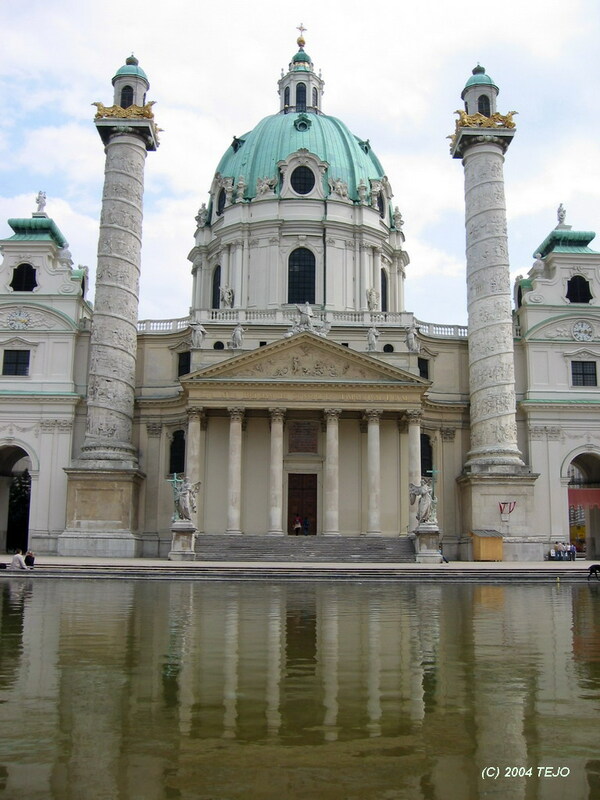 Yet another detour, this one to the south, and the Karlsplatz and Karlskirche was crossed out on the list. This is a quite peculiar looking church, as there is a blend of various build styles. The facade and porch resembles that of a Greek temple portico, the two columns were inspired by those in Traja in Rome's Forum, while finally the two tower pavilions are Roman baroque-ish in style. In the centre, a more traditional dome rises. The final and most impressive park we visited was the Wiener Stadtpark. 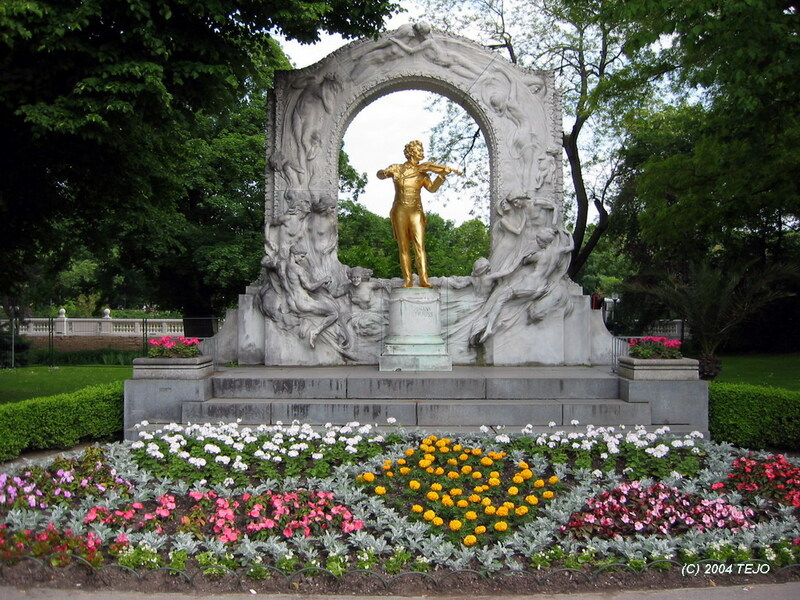 Covering 65.000 square metres, it is most famous for its gilded bronze monument of Johann Strauss II. This can at times be a challenge to photograph without one or more japanese tourists standing right in front of it. Expect to spend some time waiting for these quite disorganised queues, as group after group and individual after individual wants a picture of themselves next to their old buddy Johann Strauss II. In this park, we decided to try out a Viennese culinary speciality. Eine Sachertorte und ein Apfelstrudel, bitte! The Sachertorte owes its name from its origin, the Hotel Sacher in Vienna, and the apricot jam is one of the things that makes it special. 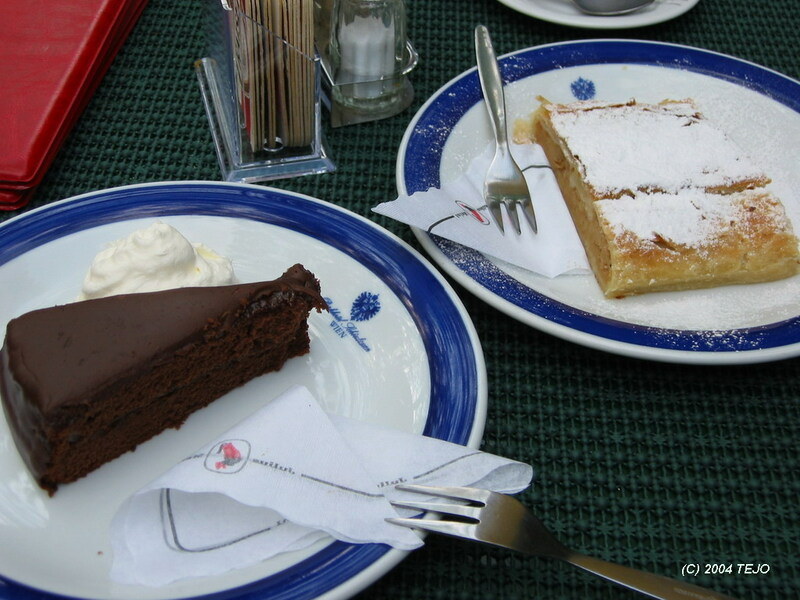 It is quite a sweet experience, therefore the Apfelstrudel was a good contrast to it, although it is not a native Viennese. After a short rest back at the hotel, it was time to join rush hour on the subway, this time eastbound on the U1 towards Donauinsel. Getting off at Kagran, a short walk saw us to our chosen dinner destination: China Sichuan, and what a location, not to mention garden! 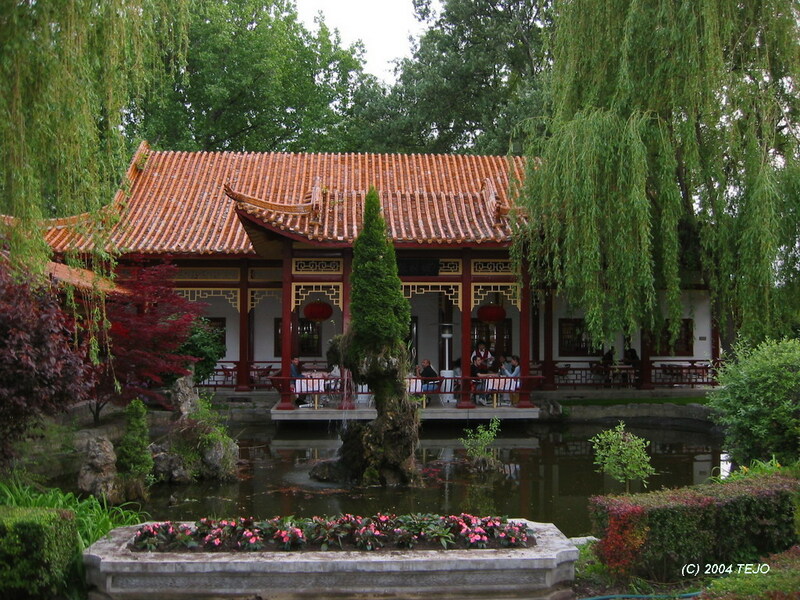 Covering 6000 square metres and surrounded by a white wall with circular entrances, it is designed like a traditional chinese garden, with small ponds, bridges and walkways as well as pavilions. And the main building itself is designed in the traditional way, with roof edges curving upwards. This is definitely Vienna's 'Little China', and although it is somewhat more expensive than your average Chinese restaurant, it really is far from your average Chinese restaurant. The location is close to the newer 'UNO City' part of Vienna, where glass monuments and big offices dominate the skyline, as well as the Donauturm. OPEC has its main administration here, among others. 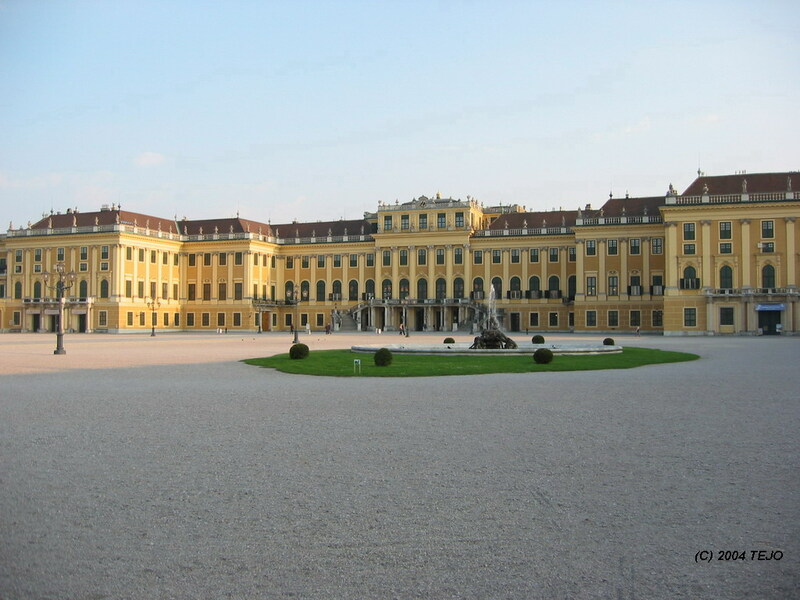 The next day was originally planned as a half-day trip, and the goal was the Schloss Schönbrunn, the winter residence of the Habsburgs. A combination of three subway lines saw us finally at the Schönbrunner Schloss-strasse, which proved to be a rather noisy walk until we got to the main entrance. Sitting near the exit from the subway station was yet another guy trying to sell concert tickets, but the situation was a bit amusing, as he had to partly yell to be heard above the noise of the traffic, something like "Hello, would you *muffled out sounds* GO TO A CONCERT!!??" The castle itself is quite an impressive structure. It is supposed to have 1440 rooms, and although its history dates back to the middle ages, the present structure was built, extended and rebuilt over a longer period of time during the 1700s. There is a choice of either a 'self guided' audio tour, a guided 'grand tour' which covers some 20+ rooms, and an 'imperial tour' (also with guide) which covers 40 rooms and takes well over an hour. English spoken tours seemed to be somewhat far between, so while waiting for our appointed time, we strolled back and forth across the 'short side' of the park to see the Gloriette. This structure was built as (another) symbol of power, success and glory of the empire. Nowadays, it houses a café downstairs and is also climbable (for a charge). Finally it was time for our guided tour of the palace, and there was a lot of information to be devoured here. Among the most memorable rooms to see were the old bedchamber of Marie Theresa, 'Reiches Zimmer', which is now completely encased in an airtight chamber with a year-round balanced temperature and humidity to ensure the best possible preservation conditions. The bed was quite impressive in itself, with its red velvet hangings and gold/silver embroideries. The so called 'Millions Room' is entirely covered in rosewood panels depicting scenes from India during the 16th and 17th century. During the second World War, Hitler recognised these decorations as invaluable, and ordered them dismantled in case the palace should be bombed. This was done, and luckily the palace mostly escaped bombings, but the reassembling of the room took a long time still. 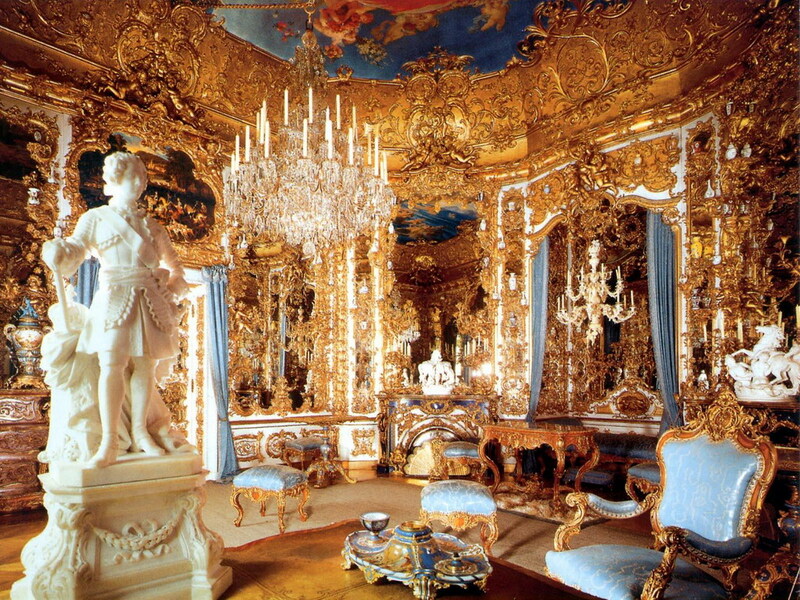 No grand palace is complete without a mirrors room, and the one housed here is as impressive as any. While the walls are not covered in mirrors to give the typical 'mirror room effect', the magnificent white and gold Rococo decorations more than make up for it. The Great Gallery has to be the most impressive room of them all - measuring 40x10 metres, the ceiling is 10 metres above the floor! Beautiful frescoes depict various scenes, but the guide told us a story with more than a hint of irony in it: as the allied bombs rained down over the axis nations (including Austria), Schönbrunn was luckily spared too much of the bombing. In fact, only one bomb went through the roof, yet it did not detonate - but ruined the single fresco which glorified war. 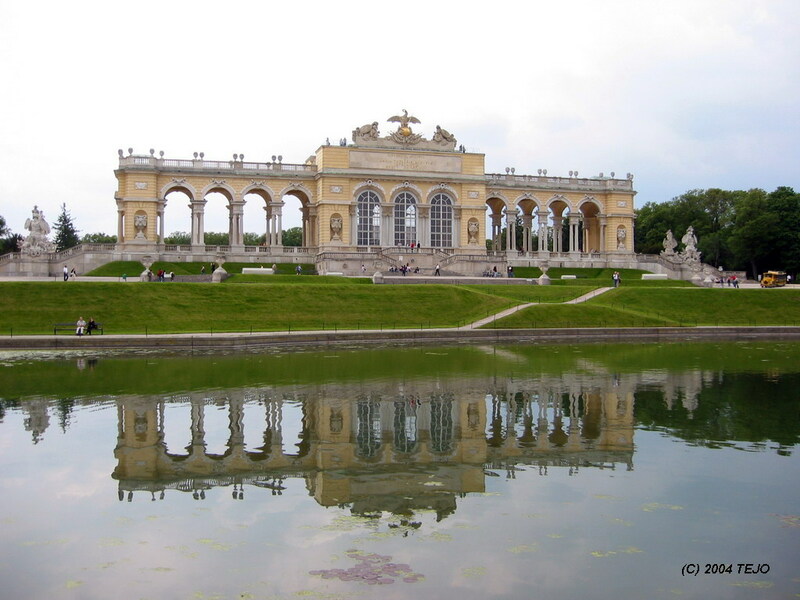 There is a lot more to see apart from the palace - there is the previously mentioned Gloriette, the Imperial wagon collection, a maze in the gardens and a separate private garden, all requiring extra fees. The rest of the park has no entrance fee, and is huge - included inside is the world's oldest zoo - Tiergarten Schönbrunn, dating back to 1752. - Marie Theresa, responsible for a lot of the construction and expansion of today's Schönbrunn, who was mother to 16 children (count them! ), among those Marie Antoinette. - Franz Joseph, who was the emperor for 68 years till he practically died at his desk in 1916, during World War I, which started as the heir to the throne, Archduke Franz Ferdinand was assassinated in Sarajevo in 1914. - Elisabeth, nicknamed 'Sisi', formerly from Bavaria but married to Franz Joseph, something she regretted for the rest of her life, as she had trouble adapting to the strict etiquette practiced at the Habsburg court. She was assassinated in 1898 at the age of 60 by an anarchist who was simply out to kill one of royal blood - it did not matter who it was. 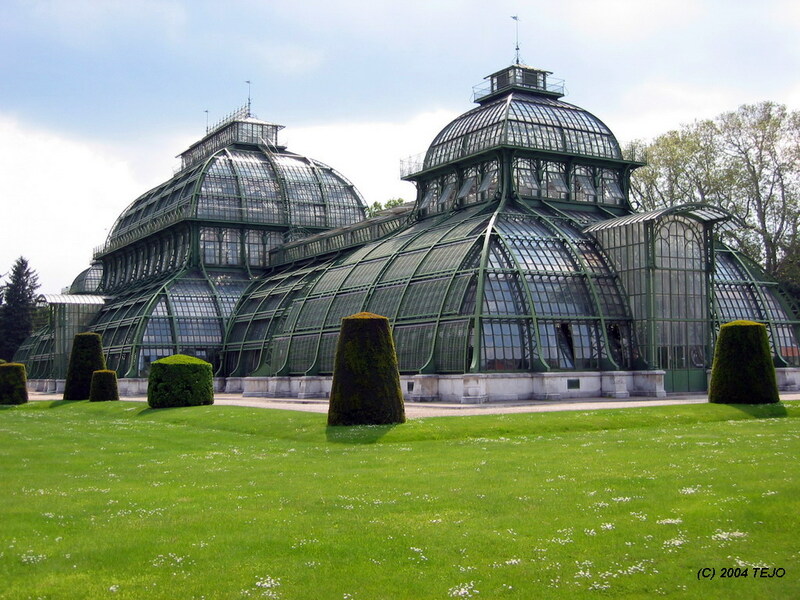 The 1900s style palm house is worth a visit as well, as it is quite an original structure. Here, we attempted to enjoy a dinner which resembled a couple of pizza slices bought at a hut nearby, however we failed to enjoy it - especially compared to the dinner the day before. Finishing off with a day in the zoo, we realised we had spent nearly 10 hours on this sight alone - and we thought we had done a somewhat cut-down version of the castle and surroundings! The zoo alone took quite a while to plow through, yet it was enjoyable. It was time to head back to our own castle for a bit of rest. The first day of the leg back home turned out to be a long drive. 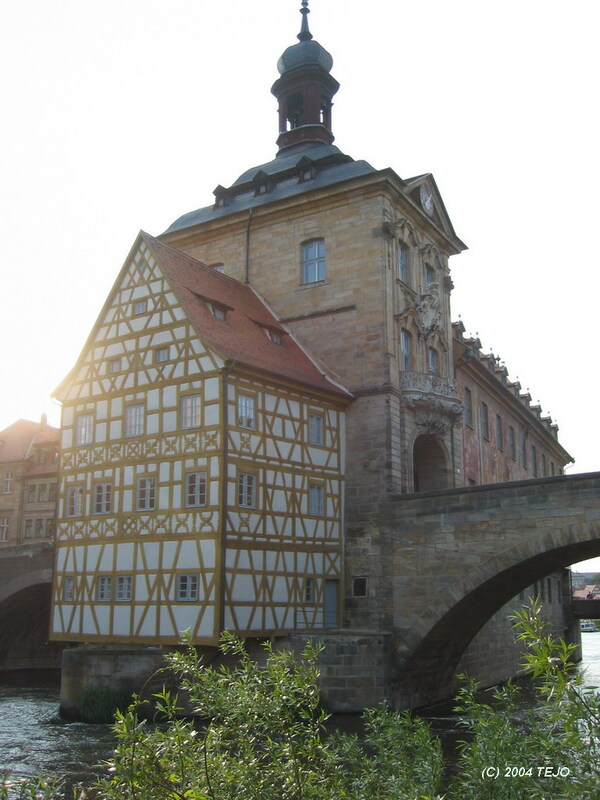 We went from Vienna back into Germany, crossing the border at Passau, and had originally intended to stop for the night in Bamberg - another town bathed in old history. We seemed to have chosen the wrong day for going somewhere like this though - as every guest room seemed to be occupied, and it seemed as if every German had this weekend off - in conjunction with Ascension Day. Our continued search for an overnight stop took us into the town of Schweinfurt, which seemed about as pleasant as the name indicated - so we drove further back towards the A7, until we finally saw a neon sign saying 'hotel' some 200 m before the meeting with the autobahn. 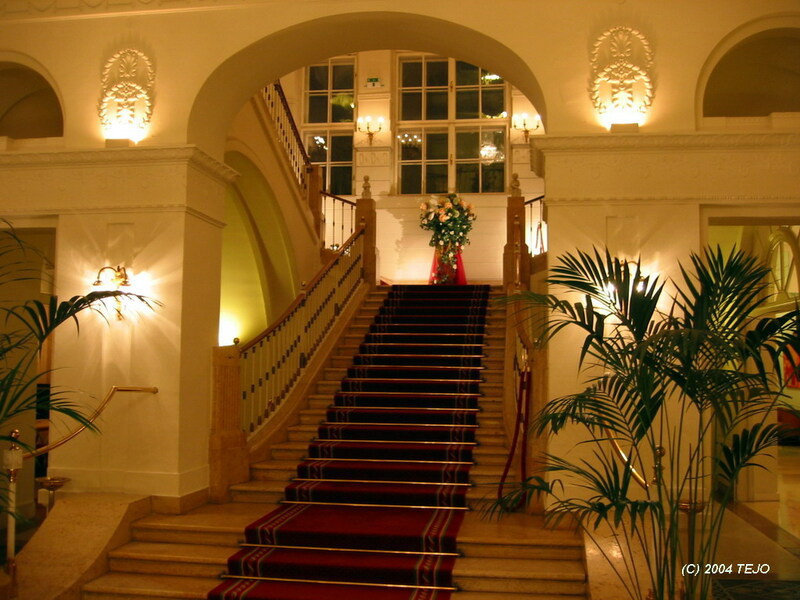 We had found the hotel Frankentor, and at 9 pm it was a welcome sight. Although the standard was somewhat less than what we were used to - there were no complaints at all. We made an attempt at enjoying the breakfast (which was good enough in itself) while an American nearby smoked his breakfast. The rest of the return journey included a reunion with the middle age town of Goslar, as well as a final detour via Celle back to Kiel. But when having experienced Goslar - Celle was a bit of a letdown, as it was not as thoroughly medieval by far as Goslar. The most enjoyable part of the town was the Hohes Schloss and its park (no, we didn't visit the castle, but took a stroll around it).